How many tents do you really need? Just one that is well-designed for your requirements, I would say; but choosing a single model to do it all can be a challenge. Vango released the Solis tent series this year for those explorers looking for greater versatility, such as heading into warmer climates or preferring more ventilation, while enjoying a spacious and stable shelter. 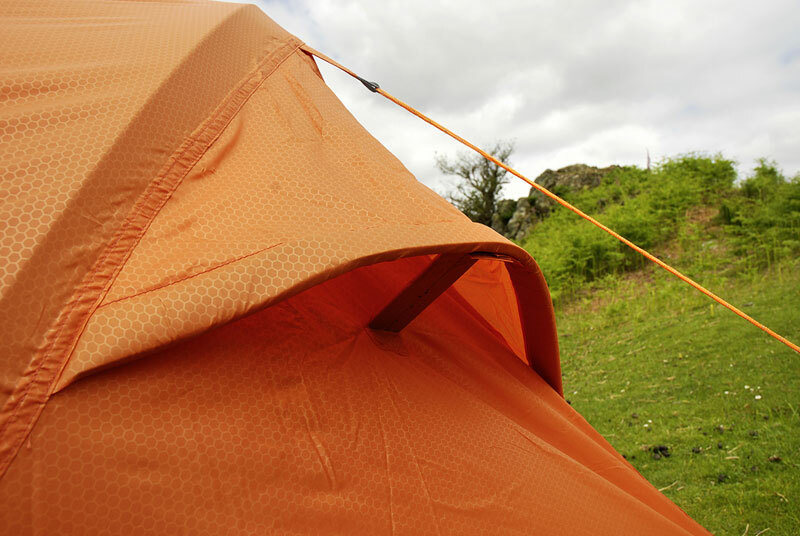 To meet this demand the tents in this range have mesh inners and can be pitched inner-only or flysheet-only, or they can be combined for a more traditional all-weather shelter. The tents are also built with semi-geodesic pole configurations to make them extremely stable, so they can combat whatever the world’s weather can throw at you. The Solis series consists of the Ostro, Mistral and Sirocco designs, with all models available in a two-person and a three-person size with prices ranging from £180 to £240. The Sirocco 200 tested here is the smallest and lightest of them all, weighing in at 2782g and carrying a price tag of £180. Like all others in the range the Sirocco pitches with poles slipping through sleeves around the inner to form a free-standing geodesic design. The flysheet goes easily over the top with ladder-lock clips making tensioning very easy. There are plenty of guy lines too, so the end result is a very stable structure that is more than capable of withstanding a wild night high on the British mountains. Entry is via just one door at the front, which gives access to a porch with space for a couple of rucksacks. This outer door is not quite as elaborate as you get on some higher-spec tents, but you can open it from the top or bottom and there is a window so you can look out before you open the door, which is useful. The inner tent door opens to one side and then you enter the inner, which has plenty of headroom for two to sit up. There is a lot of mesh on the inner tent, so this is going to be chilly in cold weather and comfortable in warmer conditions. It is good to see the top of the inner is not mesh, though, as otherwise water would tend to drip onto you when condensation forms on the underside of the flysheet above your head. Additional vents on the flysheet are provided at the sides to allow more airflow and there is a slight gap around between flysheet and ground, so this is a very well-ventilated tent. I’d prefer outer-pitched-first designs for wet-weather use, but the biggest drawback is the weight of 2782g. However if you want something weighing less then you can expect to have to pay a lot more, or choose a smaller and less robust design. So the real question is if this tent is versatile enough for your needs. Only you can decide that one! The Vango Sirocco 200 is an excellent tent in terms of stability, ease of pitching and space – making it ideal for those heading into pretty remote areas in challenging weather. But the weight is a drawback and so you may have to compromise on design or your bank balance if low weight is a number one priority.